The Occupational Safety and Health Administration has cited A.C. Castle Construction Co. Inc. and Provencher Home Improvement with nine safety violations, including three willful, after a ladder-jack scaffold platform broke on a project in Wenham, on Oct. 2, 2014. Two of the workers had to be admitted to the hospital, and the third received outpatient treatment. Their injuries included spinal, eye, facial, chest and rib fractures, broken bones, broken ribs and a punctured lung, according to OSHA. A.C. Castle Construction and Provencher Home Improvement were jointly cited for nine safety violations. The companies have records of past violations with OSHA. The federal inspectors concluded that the incident occurred because “a spruce plank used as the platform could not support the workers’ weight, was not graded for scaffold use, and the plank’s invoice was clearly marked ‘not for scaffold use,’” according to OSHA. It is unusual for OSHA to cite two companies jointly. However, this case presented such an opportunity due to the integrated general contractor and subcontractor operations, OSHA said. A ladder-jack scaffold system failed in this case, according to OSHA. LeBlanc called the fines “outrageous and exorbitant” and said they could destroy his 25-year-old business, according to Salem News. LeBlanc also told the news outlet that he was sorry the workers were hurt, and knows one of them personally, but maintained that the government should not “annihilate” a company because someone made a mistake. He said the companies were “completely separated;” A.C. Castle served as the general contractor, and Provencher installed the roofs. 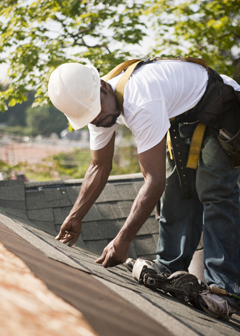 A.C. Castle provides roofing and other construction services for residential and commercial customers in Massachusetts, according to its website. In a message on the company’s website, LeBlanc writes “Safety is the most important factor on any roof project. ‘SAFETY FIRST!’” (Emphasis in the original). Provencher does not have a website. OSHA has imposed three willful, one repeat and five serious violations in the case, with fines carrying $294,500. “This employer needlessly gambled with the safety and well-being of its employees,” according to Dr. David Michaels, assistant secretary of labor for occupational safety and health. Falls are the leading cause of death in construction work. In 2013, there were 294 fall fatalities out of 796 total fatalities in construction, according to OSHA. The willful and repeat violations issued in the case stem from Castle/ Provencher’s knowledge of hazards and prior history of OSHA violations. A.C. Castle had been inspected three times by OSHA since 2005, and Daryl J. Provencher, doing business as Provencher Home Improvement, had been inspected twice since 2011, resulting in a total of 47 violations and $123,720 in fines for the two entities. Three of the inspections involved scaffold violations, five involved ladder hazards and three involved fall protection violations. The previous inspections took place at worksites in Danvers, Hamilton, Peabody, Revere Beach and Salem, OSHA said. 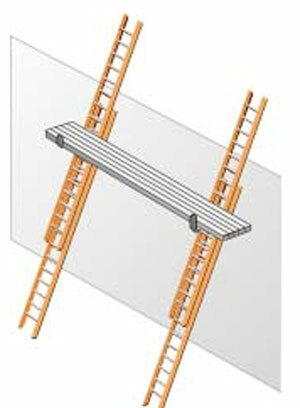 Permitted a ladder jack scaffold platform to exceed the maximum allowable height of 20 feet. Willful violations are OSHA’s most egregious level of infraction, and multiple willful violations in one case are rare. Each of the violations carried at least a $60,500 penalty. Willful violations reflect “intentional, knowing or voluntary disregard for the law's requirement, or plain indifference to employee safety and health,” according to OSHA. The agency issued one repeat violation, carrying a $70,000 fine, for allowing employees to work from a scaffold greater than 10 feet above a lower level without a personal fall arrest system. A repeat violation exists when an employer previously has been cited for the same or similar violation within the last five years. According to the citations, the employers also permitted the use of defective or damaged scaffold components, missing or inadequate scaffold anchorage and failed to train employees in scaffold erection and safety. As a result, the agency imposed five serious violations, totaling $33,500 in fines. The companies have 15 days from the receipt of the penalties to comply, meet with OSHA’s area director, or contest the findings before the independent Occupational Safety and Health Review Commission.